This is the public-facing side of the regional shared database project we have completed. 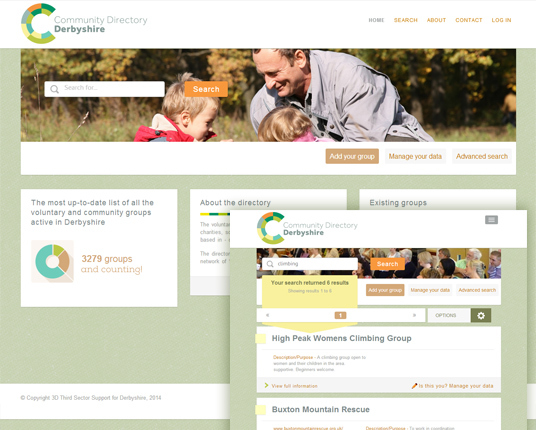 The directory provides a searchable list all of the community-based organisations (e.g. charities, local and voluntary groups) across Derbyshire, and people can manage their own details online. We introduced a clean and uncluttered feel to the site whilst still providing advanced functionality.